Sea, Sand & Sky: Too Much Hype! Through the weekend, there were two major events that were on the news. One was the free speech rally and the other was the solar eclipse that was happening on Monday. I was super pumped to see the moon block out the sun for a good hour or two. I was at Piers that day as well and they had special glasses to look at the eclipse for the kids and some of the staff. Most of the day, till the eclipse began, the kids were asking me when the eclipse started. I would respond to them saying that they would know when it had started. The reason why I said this was because I thought when the eclipse was starting, it would get darker and darker until it got to night time dark. 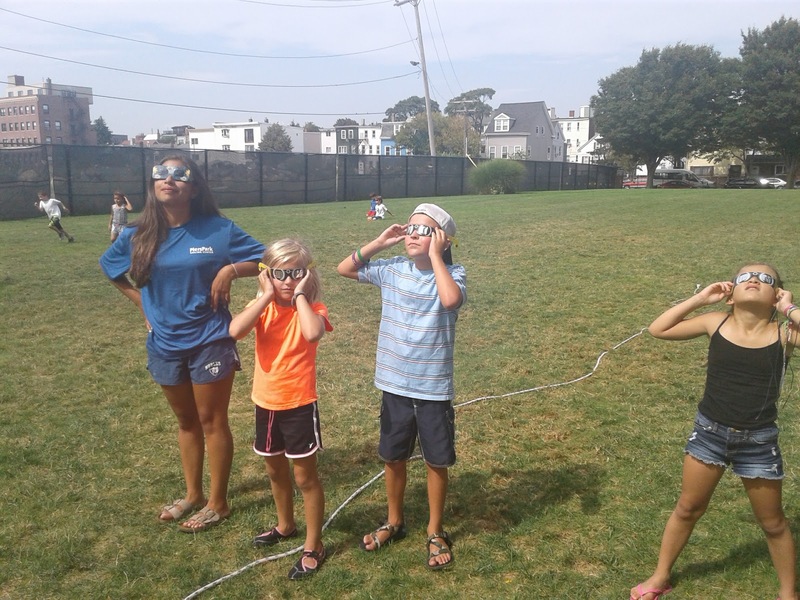 The eclipse started around the time when the kids were playing capture the flag. I began to notice that it was getting darker. 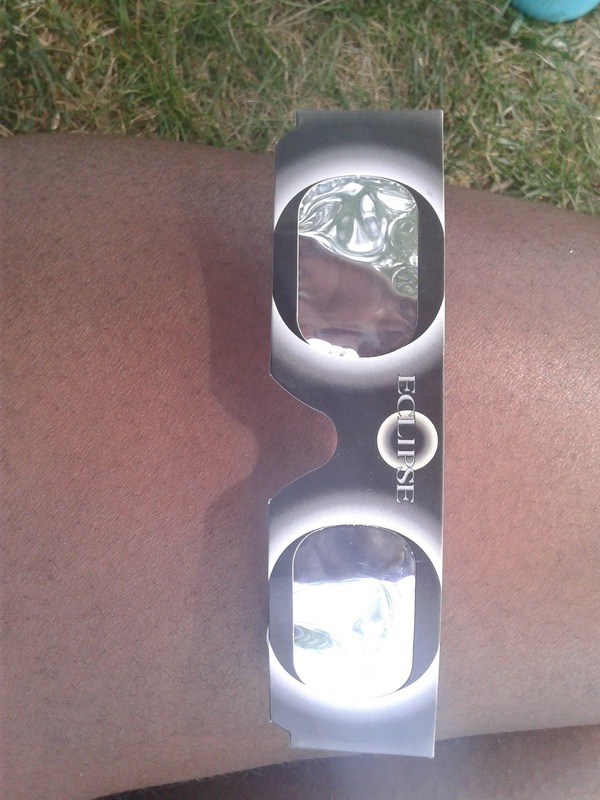 Then grabbed a pair of the special glasses and looked at the eclipse. It was covering most of the sun and that was enough to gather the kids together and look at the eclipse. I kept of looking at it, but the longer I looked it at it, it didn't get any darker. We then reached the time where we had to head to the dock, but it was also the time were the newscasters predicted when it would end. After that point of the day, I was pretty much disappointed. I remember watching cartoon where in one episode, the characters were excited to see the eclipse and when it happened it got super dark and how exciting it was to see a eclipse. However, the hype that was leading up to the eclipse, was dying down. Seeing the eclipse was pretty exciting though, even though it was kind of a disappointed.